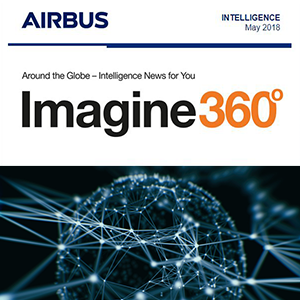 Our Imagine360° newsletter regularly brings you information on the latest developments in the world of the Intelligence Business of Airbus Defence and Space. 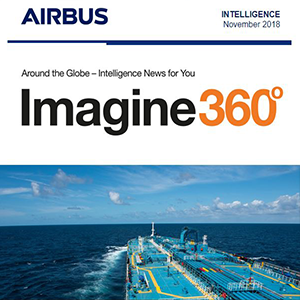 Register now to be the first to know about our newest products and services, receive free sample data and always stay up-to-date with current topics and innovations related to our extensive portfolio, spanning the entire geo-information value chain - from satellite imagery to turnkey solutions. 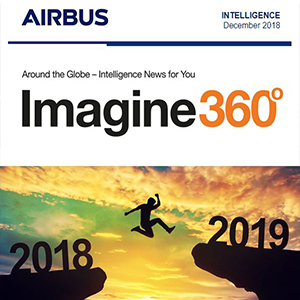 The Imagine360° newsletter is published 8 times per year. Following your registration, you will immediately receive an e-mail to confirm your subscription. To thank you for your registration there will be a link in this confirmation e-mail where you can download some free sample data. 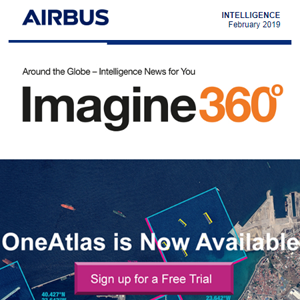 Your data will be used only for the distribution of this newsletter, and will not be passed on to third parties.